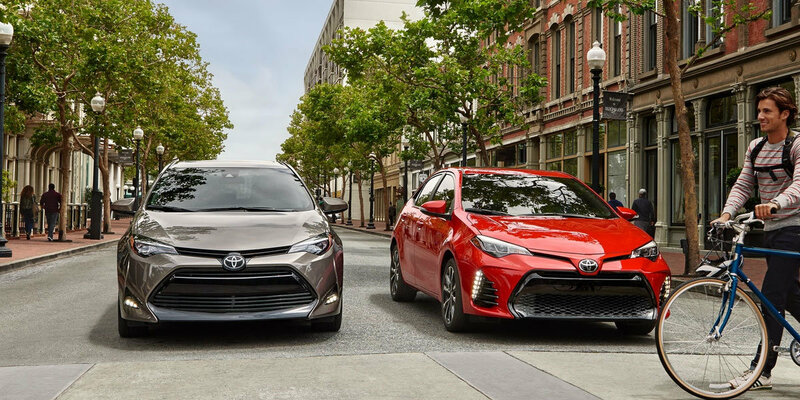 The 2019 Toyota Corolla is one of Toyota’s lives up to the Corolla’s history as a well made vehicle. Some would even go as far as to say that the Corolla is the car that built Toyota's brand of making reliable cars. This is a car that you could have for years to come. Make an impression! This 1.8-liter 4-cylinder compact also comes available with sporty 18-inch alloy wheels with black paint accents. Its aerodynamic design is perfect from its sleekly designed front to its rear combination tail lights and rear spoiler. You will surely turn a few heads when you pull up to the Apothecary Ale House. Toyota’s star safety system integrates safety technologies that enhance driver control to help you avoid collisions in a range of conditions. The available eco-driving mode button helps deliver exceptional efficiency. With an EPA estimated 40 mpg on the highway and 30 mpg in the city, plan a road trip without gas prices and mileage weighing on your mind. The Corolla’s Valvematic engine and CVTi-S transmission is a top of the line tech that gives you more control on busy city streets or open country roads. 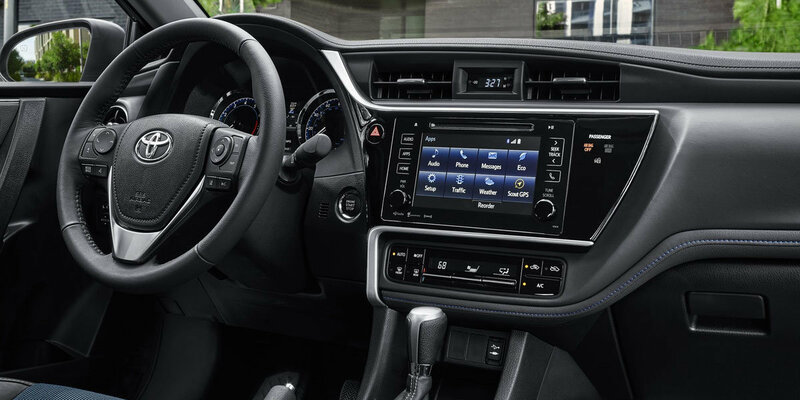 The Corolla’s interior continues to display an attractive feel. The piano black accents surrounding the seven-inch touchscreen are set within a streamlined dashboard proving that well done tech can be quite attractive. Use Toyota’s Entune™ Audio Plus system to stay in tune as you drive. Pair it with a compatible smartphone equipped with Bluetooth® technology and stream your music right from your phone or, if you have a date with a loved one, make sure they are ready for your night out at Hill & Hollow restaurant. 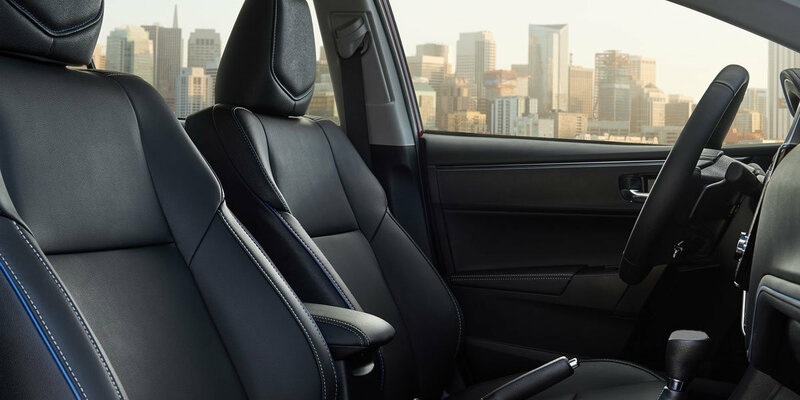 The 2019 Toyota Corolla’s soft textured seats will maintain your comfort even after hours of being on the road. A 60/40 split allows you to reconfigure the rear seats at will. Fold both seats down for a large cargo area or only seat for easy trunk. The Corolla comes standard with Toyota's Safety Sense™. This bundle of active safety features helps to protect you and your passengers. It feature a pre-collision system with pedestrian detection, lane departure alert with steering assist, standard Dynamic Radar Cruise Control and standard automating high beams. The integrated backup camera also comes standard on every Corolla giving you the extra vision to reverse with confidence. 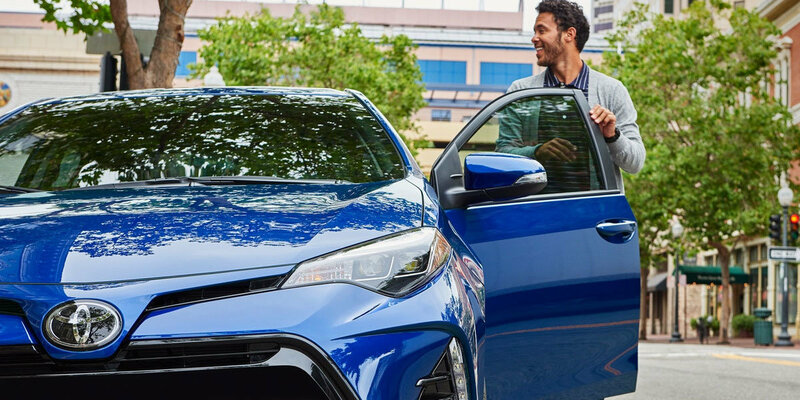 So, if you're looking for a safe, reliable and affordable vehicle, give yourself the green light and test-drive the all-new 2019 Toyota Corolla today! The 2019 Toyota Corolla performs in every scenario, getting to a show at the Metropolitan Theatre or heading to Coopers Rock State Forest for a hike. Don’t wait to test drive your next Toyota Corolla. Do it today at University Toyota! Contact us now to test drive any new Toyota car, truck, SUV or van, or simply visit our dealership!